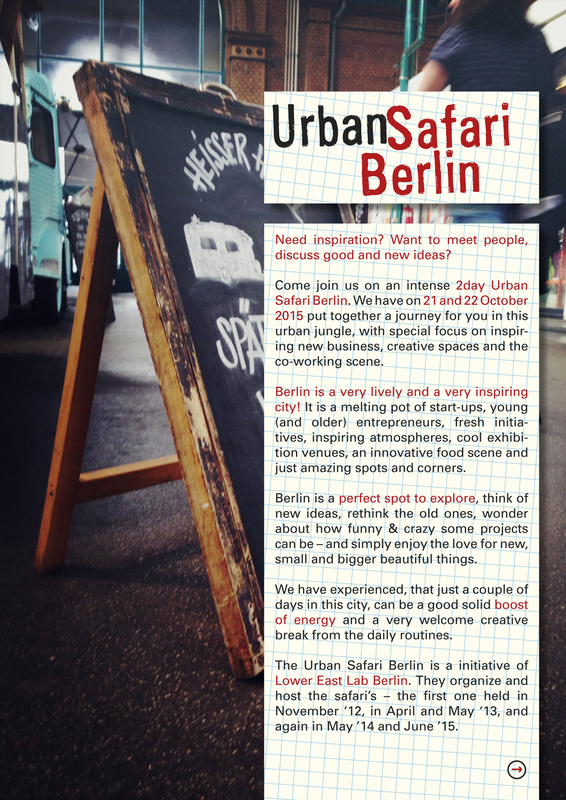 Lower East Lab invites you on a urban safari in wonderful Berlin. In October. Could be cool if you want to join. Read all about it under the picture. Need inspiration? Want to meet people, discuss good and new ideas? Come join us on an intense 2day Urban Safari Berlin. 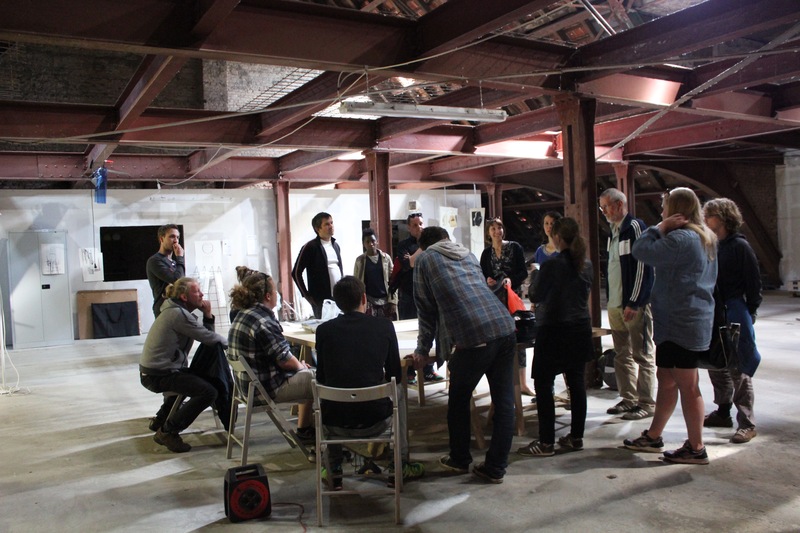 We have on 21 and 22 October 2015 put together a journey for you in this urban jungle, with special focus on inspiring new business, creative spaces and the co-working scene. Berlin is a very lively and a very inspiring city! It is a melting pot of start-ups, young (and older) entrepreneurs, fresh initiatives, inspiring atmospheres, cool exhibition venues, an innovative food scene and just amazing spots and corners. Berlin is a perfect spot to explore, think of new ideas, rethink the old ones, wonder about how funny & crazy some projects can be – and simply enjoy the love for new, small and bigger beautiful things. We have experienced, that just a couple of days in this city, can be a good solid boost of energy and a very welcome creative break from the daily routines. 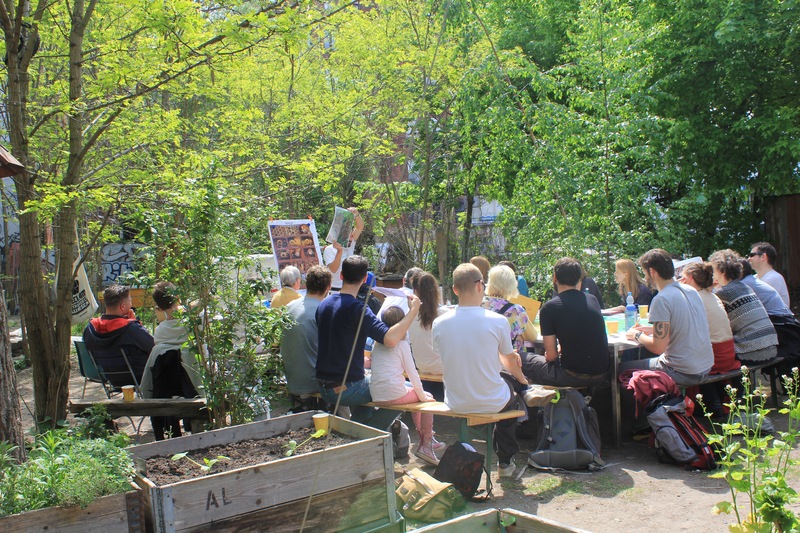 The Urban Safari Berlin is a initiative of Lower East Lab Berlin. They organize and host the safari’s – the first one held in November ‘12, in April and May ‘13, and again in May ’14 and June ’15. • We will start on wednesday morning October 21th at 10:00 in Lower East Lab in Kreuzberg, the lab will be our class room during the safari days. • We will be a group of around 8-12 curious and interesting people like yourself. • We will be safaring on bikes, and on foot, by U-bahn – and again on bikes, the most fun way to explore and stop and go again. • We will have time to follow our noses, our instincts, enjoy the crème-de-la-crème of the Urban Safari and Lower East exploration so far in this town. 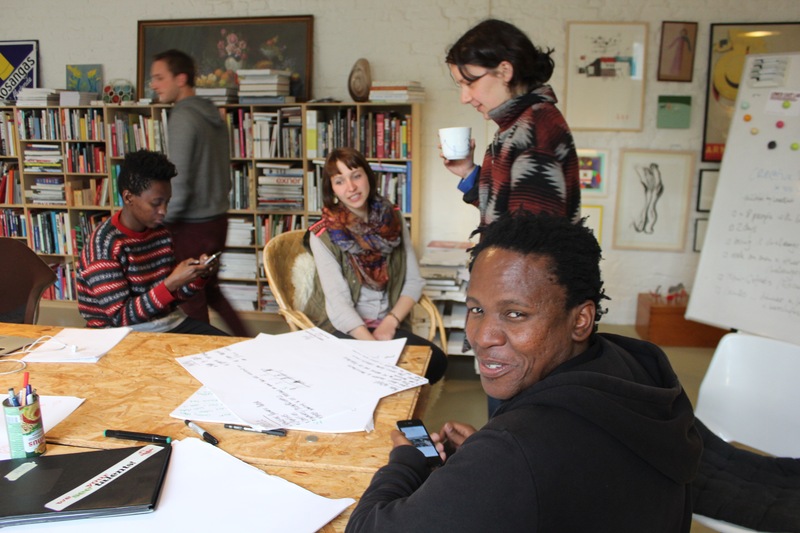 • In the lab we will share inspiration and inputs, we can listen and discuss – have time to reflect, to sketch, to laugh and to enjoy. • We will be done by thursday October 22th at 18:00. Here we finish with a glass of ‘see you again’ wine. Together with Camillos Kitchen, we will all put up a playful and inspiring dinner in the lab on the first night. Camillos Kitchen is a pop-up (mostly in Berlin, Copenhagen and Bern) restaurant with gorgeous food and remarkable wines. That alone is worth the journey. After the safari, you will receive a rich visual documentation on your days in Berlin. • You sign up with an e-mail to Jørgen Smidstrup. First come, first serve. • You book your own flight or travels to Berlin. • You book your own overnight stays. We suggest you some beautiful places like Hüttenpalast, Michelberger or IMA Lofts. Or find a flat on Airbnb, we can get you in contact with fine private flats as well. • Your costs will be €550 for the two days in the urban jungle. Guides, food and drinks for the time between the first day at 10:00 to the second day at 18:00, bike rentals, U-bahn tickets, and the class room and kitchen facilities are covered in this. • Empty your head. Bring comfortable clothes and shoes, your favorite notebook, your best pens, some kind of a camera, and your toothbrush. If you like, you can of course invite a dear friend or your partner to enjoy the weekend with you after the safari in this mind-boggling city. If the dates doesn’t fit you, special safaries can be arranged. Lower East Lab is a design studio, workshop room, event space, co-working space, homebase for Camillo’s Kitchen and Lower East. Behind the lab you find Helle Marietta and Jørgen Smidstrup who have moved their design company, Lower East, to Berlin at the end of 2011 and have been exploring the city ever since. Helle and Jørgen will be your scouts, hosts and the facilitators for the Urban Safari. You can find this text as a pdf on our website.